When you have an online business, getting your first sales funnel up and running is exciting. You’ve put a system in place and you’re ready for the sales to start rolling in. But what if they don’t? Maybe sales are trickling in or you are not seeing any conversions at all. If that’s the case, then some part of your sales funnel isn’t working. 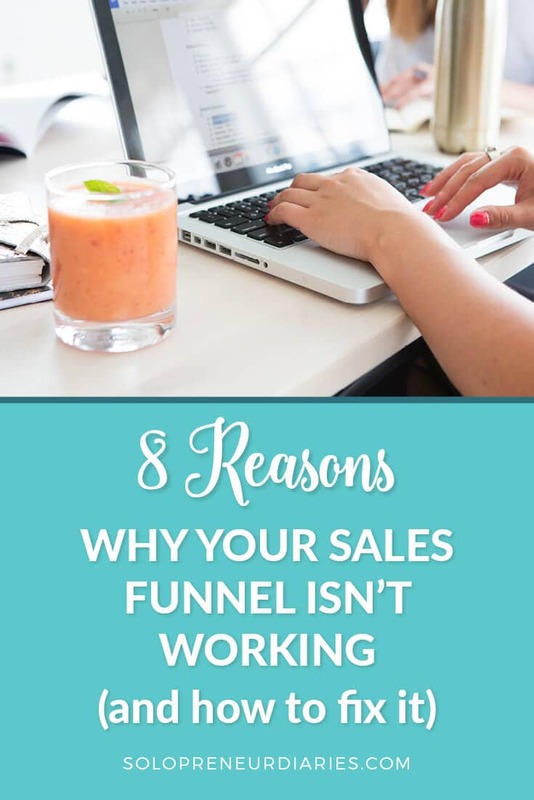 In this post, we’re going to look at six common reasons why your funnel isn’t working. And for each problem, you’ll find a variety of actionable strategies and tactics that you can use to fix your sales funnel. The first step in figuring out why your sales funnel isn’t working is to identify the problems. That means looking at the data. The insight you gain from gathering data can really help you improve your marketing strategy. You may need to gather data from a variety of places, such as Google Analytics, your email service provider, and your checkout cart system. Google Analytics can tell you how much traffic your site receives, how many clicks your landing page received, how much time people spend on various pages, where they exited, and more. Depending on If you have goals set up, it can also tell you your opt-in conversion rate, sales rate, and more. Your email service provider can give you data on open rates, click rates, and unsubscribe rates, all of which will help you identify where you are losing people in your email funnel. Your checkout cart system can give you information on sales conversion rates, abandoned carts, etc. Once you have the data, you can analyze each metric, comparing it to your past results or to industry benchmarks, to identify the areas that you want to fix. Your sales funnel begins with the traffic that you bring in. If you aren’t bringing in enough traffic, then your sales funnel has no chance to work. If you don’t have enough visitors to your website or landing pages, then you won’t have enough subscribers. If you don’t have enough subscribers, then you won’t have enough (or any) sales. Traffic generation is a huge topic, but here are five tips you can use to increase traffic to the top of your sales funnel. Use good SEO practices so that your blog content is more likely to be found when people are searching for your topics. Hang out where your ideal reader hangs out. This could mean being active on her favorite social media platform, participating in Facebook groups, or even being present at live or virtual events. Use a promoted pin campaign to drive traffic to your landing pages or targeted blog posts. Create new pins & schedule them out regularly. Pinterest loves fresh content. So create new pins for your product, landing page, blog post, freebie opt-in – anything related to your sales funnel is fair game. Collaborate with JV partners to promote your offers. That way you get in front of their audience in addition to your own. Related: if traffic is your main problem, then check out this free mini-challenge to help you increase your blog traffic. If you aren’t targeting the right people, then your funnel won’t work. For example, let’s say you have a lifestyle blog and you decide to start offering Pinterest templates for bloggers. Unless a significant part of your audience is comprised of bloggers, then you aren’t going to make many sales. Start by making sure that you have defined the target market for your business. Run an online survey or email survey to find out what your current audience is thinking, what their pain points are, and what they need help with. I use Google Forms to run surveys. It’s free and easy to use. Create a detailed avatar (aka buyer persona) for your product or service. Build out a story about your ideal customer, including demographics, goals, behavior patterns, and motivations. If you are getting enough traffic and targeting the right people, but those people aren’t subscribing to your email list, then the problem is with your opt-in offer. Make sure that your freebie offer is something that your audience actually wants. Review your customer avatar and/or survey results to make sure that your offer matches your customer’s needs. Create a different type of freebie offer to see if it converts better. For example, if your current offer is a checklist, then you might want to try a tip sheet or a template. Use A/B testing to improve your landing page. Some areas to test are your headline, copy, call to action, button colors, etc. Make changes one at a time, so that you can judge the results. Test different types of lead-generation forms. Are you using an inline form? Try an exit-intent pop-up. Are you using a two-step lead box? Try a one-step inline form. This is a funnel mistake that many entrepreneurs make, and one that I was guilty of when my business was new. They put in a lot of effort building a great landing page. They send traffic to it and get people to subscribe. Then nothing else happens. They don’t send follow-up emails. They don’t make offers for additional products or related services. They may not even have a product or service to offer. Start with your offer. Don’t spend time creating an opt-in offer or building a landing page, unless you have something to sell. Create an email follow-up campaign that goes out automatically when someone signs up for your funnel freebie. Be sure to include sales offers in your sequence. Run a retargeting ad campaign on Facebook. If your checkout cart system has the capability, then send follow-up emails for abandoned carts. For example, I use SendOwl, which allows me to set up an automated email that will go out after a set period of time reminding the buyer that they didn’t complete the purchase process. It typically takes multiple touches to turn a prospect into a customer. That means you need a lead nurturing strategy. Use targeted email marketing. Email service providers like ConvertKit let you tag subscribers so that you can then email content based on tags. It’s much more effective to send content to a targeted group rather than to everyone on your list. Stay in touch across multiple channels. Write several blog posts on your funnel topic. Engage with your prospects on social media. Host a webinar or livestream video. And, of course, email your leads regularly. This problem typically happens at the top of your sales funnel. Your free content – i.e. blog posts, social media, podcasts, videos – must have a call-to-action. Otherwise, you’re just wasting your time. Every time you create a piece of free content, think about what you want people to do afterward. Do you want them to follow you on Facebook? Subscribe to your YouTube channel? Sign up for your email list? Whatever it is, be sure that you ask them to do it. That’s your call-to-action. This is another common problem when you are starting out. You know that you are supposed to build a mailing list. But if you don’t have a product yet, then what are you going to sell? And without something to sell, what’s the point in having an email list? Fortunately, there is a super-easy way to fix this problem. Promote affiliates. No matter what niche you are in, there are plenty of tools or products that your audience needs. Many of those tools will have affiliate programs that you can join. It’s much faster and easier to recommend these affiliate products to your email subscribers than it is to create your own products. And your readers will be thankful for your advice. After all, that’s why they signed up for your email list. It’s much faster and easier to recommend affiliate products to your email subscribers than it is to create your own products. What happens when you’ve fixed all the other problems, but you still don’t have enough conversions? Not to worry, there are ways you can improve your conversion rate. But first, let’s set expectations. Average conversion rates run between 1% and 3%. So before you assume that you aren’t converting enough leads, you need to know where your conversion rate falls. Try different subject lines for emails. If you can improve your email open rates, then you have more potential buyers, because more people are seeing your offer. Run a retargeting ad campaign on Pinterest or Facebook. This goes back to the multiple touchpoints that we talked about earlier. You’ll likely see a good ROI on your advertising investment because you are targeting warm leads. Add more ways for people to pay you. Make sure that you accept both PayPal AND credit card payments. This is an easy way to increase sales. I saw an immediate uptick when I added credit card payments via Stripe. Check all your tech. Go through the entire buying process yourself and make sure that the technology works as it is supposed to. There’s nothing worse than losing customers to technical glitches. If your sales funnel isn’t working as well as you’d like, don’t give up on it. Spend a little time identifying the problem and then try one or more of these tips for optimizing your funnel. Chances are you can fix the problem and improve your results and your revenue. 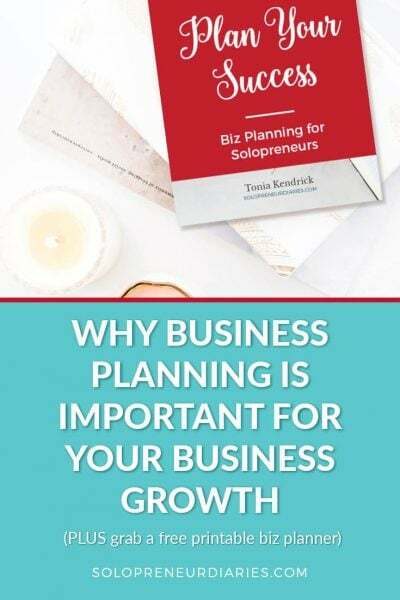 If you haven’t created your first sales funnel yet, or if you want to build a more effective sales funnel, click below to grab your free Simple Sales Funnel planning guide!